AS Roma director of football Monchi has attracted interest from Arsenal and current reports claim that the gunners are ready to pay his release clause. Arsenal has already confirmed that Sven Mislintat has left the club after having been there for a few a few months but the club is currently in the search for a sporting director that will help the club in discovering new talent. 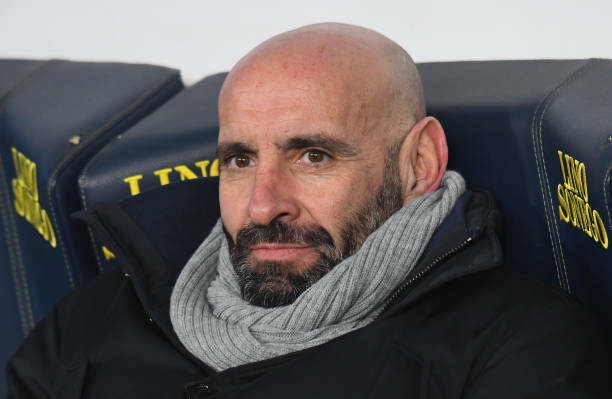 Most reports indicate that the gunners are ready to appoint Monchi as their technical director ahead of the upcoming season. Monchi is the current director of football at AS Roma but reports from Italy and England have in the last few weeks claimed that the Spaniard will be coming to England in the summer because he wants to work with Unai Emery who is a good friend of his after having worked together at Sevilla a few years ago. A report by Il Messaggero which is a news outlet in Italy has confirmed that Monchi will join Arsenal sooner than expected because the gunners have accepted to pay £2million to activate the buy out clause that was included in his contract at the Italian club. Monchi is known for being an outstanding negotiator and is also good at signing players at cheap prices, and this is good for the North Londoners because they are always with a tight budgets. Arsenal fans were disappointed with the club for letting go of Sven Mislintat but they will be hoping that Rahul Sanllehi, Unai Emery and the soon coming Monchi will be able to take them to the next level, and the good thing is that these three are all Spaniards and their unity could bring benefits to the North Londoners.